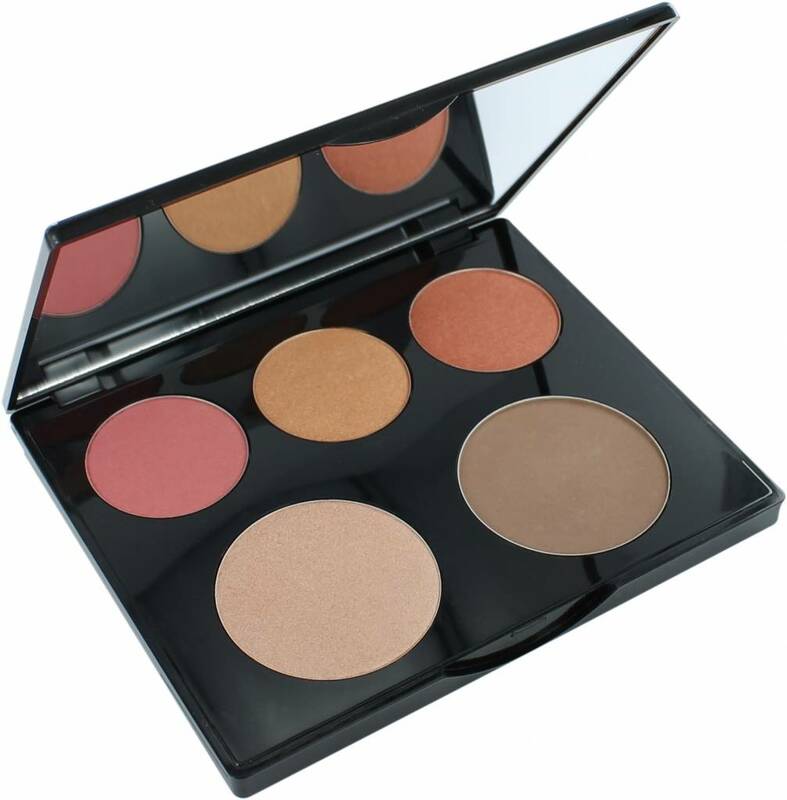 Create your own beauty with a Christian Faye transformational palette that flawlessly shapes cheeks and eyes. It contains: Transparant Glowing powder, Blusher, Highlighter powder, Bronzing powder, pearlescent powder. Exploring kit for Make-up Lovers! 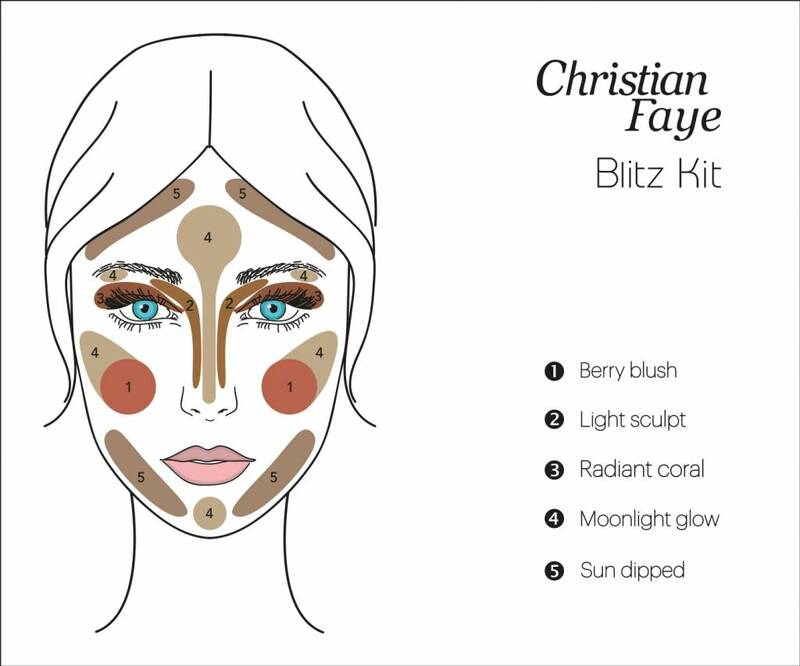 Create your own beauty with a Christian Faye transformational palette that flawlessly shapes cheeks and eyes. It contains a quad of pearlescent tones and bronzing powder. 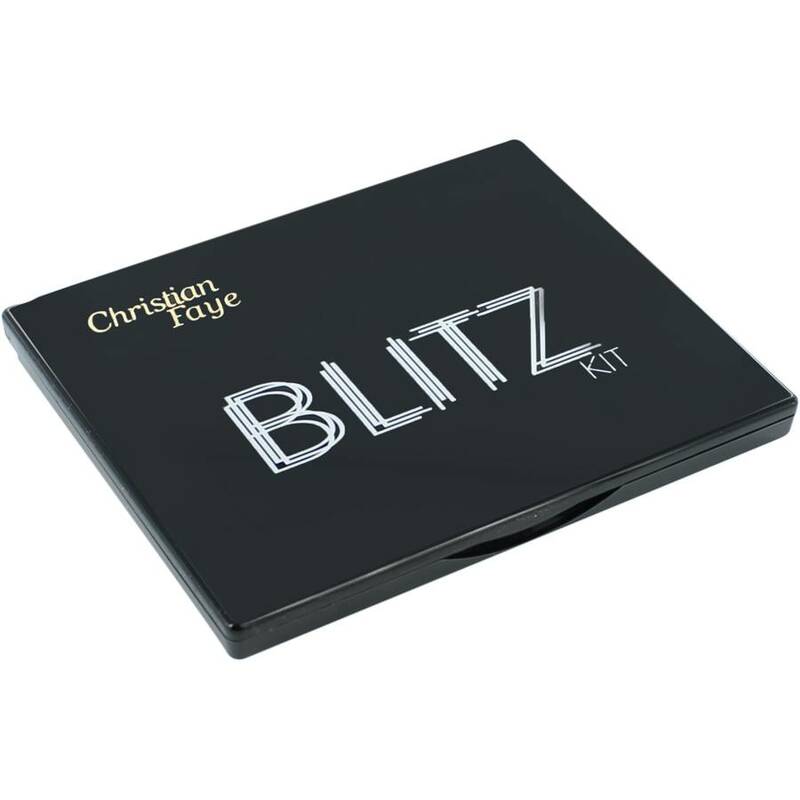 Shape eyes and skin with vibrant frost shades of Blitz Kit flawless soft and creamy powders. Use the deeply pigmented powders to shade and contour eyes and face. Go from a natural, fresh-from the-slopes glow to a sultry, sunny-bronzed highlight. Play it loud! The possibilities are endless! Layer shades of Blitz Kit or wear them separately on the face and body for a radiant glow. The powders are blendable and crazy-easy to work with. Blitz Kit palette gives you the perfect rosy, fresh-from-the-slopes glow. Use all products wet for more intensity! It includes, an easy-to-follow application guide so you can seamlessly apply the powders based on your face shape.